This is what my house looks like at 5pm on Tuesdays and some Wednesdays. Ryan is usually over. 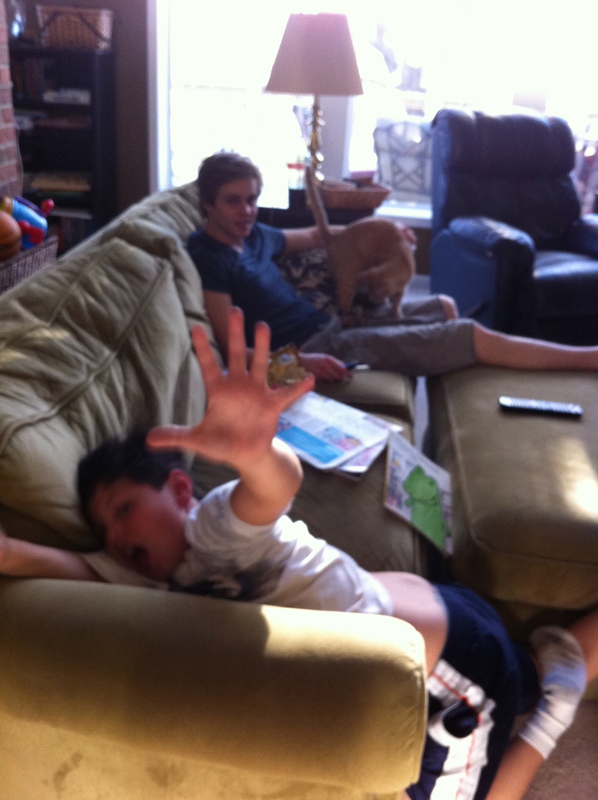 Today he and Decky are watching TV with Gary, but normally the boys are out playing basketball or wrestling with each other. Today Ryan is too tired and sore from playing basketball with his friends all day, so it’s more sedate around here. But I’m so happy to see him. Actually, now they’re wrestling. And I’m making dinner with the dogs at my feet. Business as usual around here.